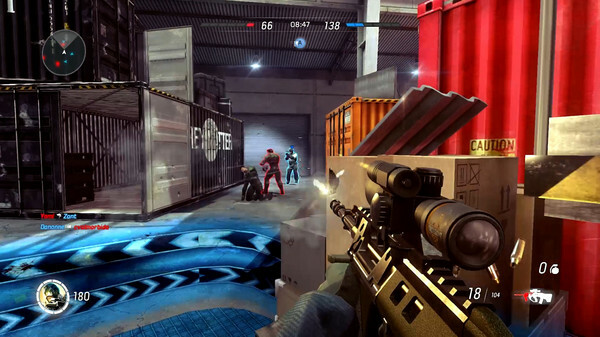 Ballistic Overkill is the fast paced FPS game I have fallen in love with and it just gained a tasty update. The game has down away with a single health station on the map, to now have health packs spread throughout the map. An interesting and needed change, but I feel they respawn far too quickly. The map voting system is much better. Instead of always being on a single mode, you pick a single map and each map comes with a different game mode. That makes the game feel a lot fresher in my opinion and helps stop me getting bored in longer sessions. Lots of re-balancing on top of all of that. Reminder, the game is in Early Access so it will continue to evolve as time goes on, but it's very enjoyable. Be sure to grab a copy and come join the fun! On a scale of 1 to 10 for FPS players who like Halo, etc... how good is this? That's weird... I cannot see the store page for the game. Pretty good. Personally it reminds me a bit of Team Fortress 2 and maybe Urban Terror. Fast, but not too fast paced shooter with fun classes. It's only 7 euro and definitely worth the price! Thats sorta of the problem, I agree its worth it yet I would rather shell out $60 and have one FPS to play and get good at instead of 5. I really wish Halo Online would work on wine it's a great play. How it perform on AMD GPU? I mean open source driver or old fglrx? Anyone testing it on this both driver? Is playable? It runs outstanding on AMD with fglrx for me on a 290 @ 1440p all high. DamonLinuxPL How it perform on AMD GPU? I mean open source driver or old fglrx? Anyone testing it on this both driver? Is playable? I tested this game on an 1st gen. i5 with an HD6870 with the (opensource) r600 driver. That's a 7 year old CPU with a 4 or 5 year old GPU. The only thing that really matters in these games though: Are there any players? Beamboom The only thing that really matters in these games though: Are there any players?